Earlier this year, we saw in Iran what I thought was a glimmer of hope as thousands of people rose up against the regime. Unfortunately, the peace that we wanted didn’t come. So today, we have to be the voice and the hope and the glimmer of hope for those very same people. Those people like ourselves who want an alternative to the mullahs’ and the supreme leader’s rulings, people who want peace, safety, security, and stability. But that won’t come by accident. And I commend Madame Rajavi for her ten point plan for showing the world and the mullahs that not only is a plan available but it can be achieved by her. 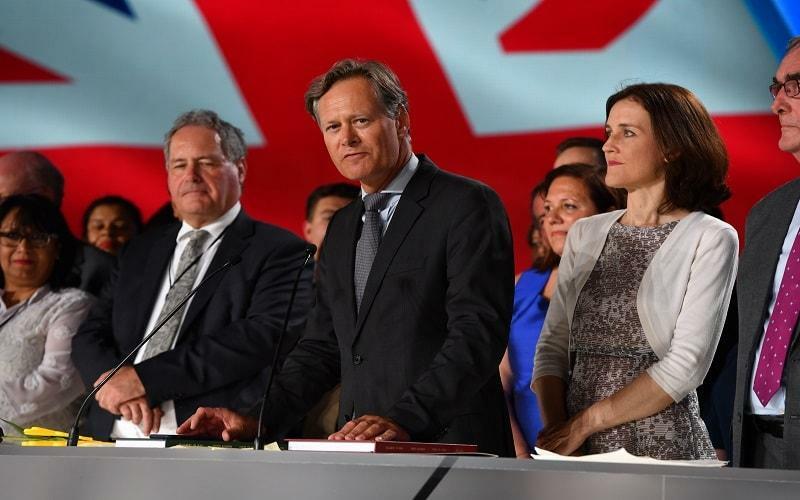 The plan offers the people of Iran a free democratic and secular Iran based on freedom of speech, freedom of religion, and respect for religious ethnic minorities, gender equality, rule of law, and peaceful coexistence in the world. So today our voices must go out through the media, our word through social media, and let the mullahs know that there is a plan and there is an alternative to their regime and what people want. And so today let’s shout once again, and in the future we will be back in Tehran. Thank you. Matthew James Offord is a BritishConservative Party politician and the Member of Parliament for Hendon in North London. He is also a member of the AWEPA Governing Council. Offord was state-educated at Amery Hill School, Alton, Hampshire, and studied at Nottingham Trent University where he first became involved in the Conservative Party.